The man who ate 25 eggs per day: What does this case really tell us? Many readers of this blog have probably heard about the case of the man who ate approximately 25 eggs (20 to 30) per day for over 15 years (probably well over), was almost 90 years old (88) when the case was published in the prestigious The New England Journal of Medicine, and was in surprisingly good health (). The case was authored by the late Dr. Fred Kern, Jr., a widely published lipid researcher after whom the Kern Lipid Conference is named (). One of Kern’s research interests was bile, a bitter-tasting fluid produced by the liver (and stored in the gallbladder) that helps with the digestion of lipids in the small intestine. He frames the man’s case in terms of a compensatory adaptation tied to bile secretion, arguing that this man was rather unique in his ability to deal with a lethal daily dose of dietary cholesterol. Kern seemed to believe that dietary cholesterol was harmful, but that this man was somehow “immune” to it. This is ironic, because often this case is presented as evidence against the hypothesis that dietary cholesterol can be harmful. 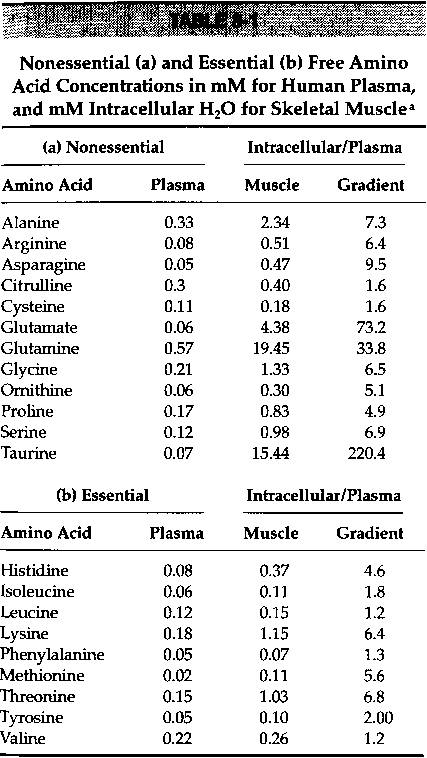 The table below shows the general nutrient content of the man’s daily diet of eggs. The numbers in this and other tables are based on data from Nutritiondata.com (), in some cases triangulated with other data. The 5.3 g of cholesterol in the table (i.e., 5,300 mg) is 1,775 percent the daily value recommended by the Institute of Medicine of the U.S. National Academy of Sciences (). The table below shows the fat content of the man’s daily diet of eggs. With over 14 g of omega-6 fat intake every day, this man was probably close to or in “industrial seed oils territory” (), as far as daily omega-6 fat intake is concerned. And the intake of omega-3 fats, at less than 1 g, was not nearly enough to balance it. However, here is a relevant fact – this man was not consuming any industrial seed oils. He liked his eggs soft-boiled, which is why the numbers in this post refer to boiled eggs. This man weighed between 82 to 86 kg, which is about 180 to 190 lbs. His height was 1.87 m, or about 6 ft 1 in. 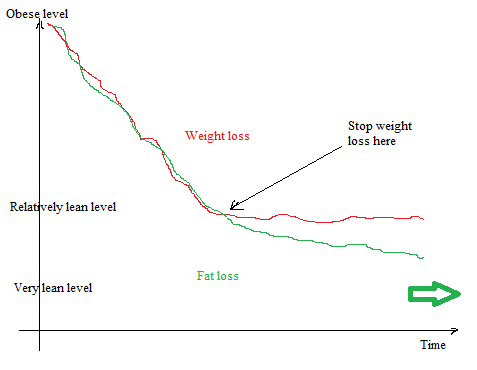 Therefore his body mass index varied between approximately 23 and 25, which is in the normal range. In other words, this person was not even close to obese during the many years he consumed 25 eggs or so per day. In the comments section of a previous post, on the sharp increase in obesity since the 1980s (), several readers argued that the sharp increase in obesity was very likely caused by an increase in omega-6 fat consumption. I am open to the idea that industrialized omega-6 fats played a role in the sharp increase in obesity observed since the 1980s. When it comes to omega-6 fat consumption in general, including that in “more natural” foods (e.g., poultry and eggs), I am more skeptical. Still, it is quite possible that a diet high in omega-6 fats in general is unhealthy primarily if it is devoid of other nutrients. This man’s overall diet might have been protective not because of what he was not eating, but because of what he was eating. The current debates pitting one diet against another often revolve around the ability of one diet or another to eliminate or reduce the intake of a “bad thing” (e.g., cholesterol, saturated fat, carbohydrates). Perhaps the discussion should be more focused on, or at least not completely ignore, what one diet or another include as protective factors. This would help better explain “odd findings”, such as the lowest-mortality body mass index of 26 in urban populations (). It would also help better explain “surprising cases”; such as this 25-eggs-a-day man’s, vegetarian-vegan “ageless woman” Annette Larkins’s (), and the decidedly carnivore De Vany couple’s (). The table below shows the vitamin content of the man’s daily diet of eggs. The vitamin K2 content provided by Nutritiondata.com was incorrect; I had to get what seems to be the right number by triangulating values taken from various publications. And here we see something interesting. This man was consuming approximately the equivalent in vitamin K2 that one would get by eating 4 ounces of foie gras () every day. Foie gras, the fatty liver of overfed geese, is the richest known animal source of vitamin K2. This man’s diet was also high in vitamin A, which is believed to act synergistically with vitamin K2 – see Chris Masterjohn’s article on Weston Price’s “activator X” (). Kern argued that the very high intake of dietary cholesterol led to a sharp increase in bile secretion, as the body tried to “get rid” of cholesterol (which is used in the synthesis of bile). However, the increased bile secretion might have been also been due to the high fat content of this man’s diet, since one of the main functions of bile is digestion of fats. Whatever the case may be, increased bile secretion leads to increased absorption of fat-soluble vitamins, and vitamins K2 and A are fat-soluble vitamins that seem to be protective against cardiovascular disease, cancer and other degenerative diseases. 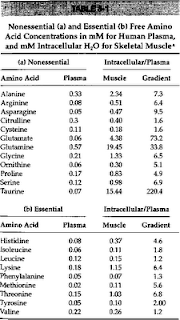 Finally, the table below shows the mineral content of the man’s daily diet of eggs. As you can see, this man consumed 550 percent the officially recommended daily intake of selenium. This intake was slightly lower than the 400 micrograms per day purported to cause selenosis in adults (). Similarly to vitamins K2 and A, selenium seems to be protective against cardiovascular disease, cancer and other degenerative diseases. This man’s diet was also rich in phosphorus, needed for healthy teeth and bones. - It is very high in dietary cholesterol. - It involves a high intake of omega-6 fats from animal sources, with none coming from industrial seed oils. - It involves a high overall intake of fats, including saturated fats. - It is fairly high in protein, all of which from animal sources. - It is a very low carbohydrate diet, with no sugar in it. - It is a nutritious diet, rich in vitamins K2 and A, as well as in selenium and phosphorus. We all evolved from one single-celled organism that lived billions of years ago. I don’t see why this is so hard for some people to believe, given that all of us also developed from a single fertilized cell in just 9 months. However, our most recent common ancestor is not that first single-celled organism, nor is it the first Homo sapiens, or even the first Cro-Magnon. The majority of the people who read this blog probably share a common ancestor who lived no more than 640 years ago. Genealogical records often reveal interesting connections - the figure below has been cropped from a larger one from Pinterest. You and I, whoever you are, have each two parents. 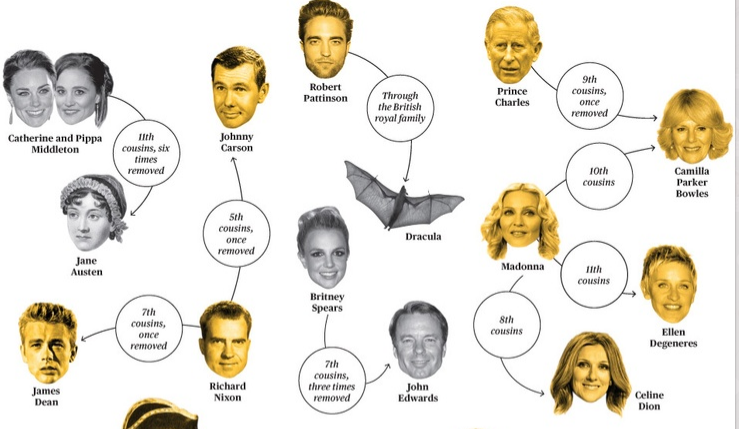 Each of our parents have (or had) two parents, who themselves had two parents. And so on. If we keep going back in time, and assume that you and I do not share a common ancestor, there will be a point where the theoretical world population would have to be impossibly large. Assuming a new generation coming up every 20 years, and going backwards in time, we get a theoretical population chart like the one below. The theoretical population grows in an exponential, or geometric, fashion. As we move back in time the bars go up in size. Beyond a certain point their sizes go up so fast that you have to segment the chart. Otherwise the bars on the left side of the chart disappear in comparison to the ones on the right side (as several did on the chart above). Below is the section of the chart going back to the year 1371. The year 1371 is a little more than 640 years ago. (This post is revised from another dated a few years ago, hence the number 640.) And what is the theoretical population in that year if we assume that you and I have no common ancestors? The answer is: more than 8.5 billion people. We know that is not true. Admittedly this is a somewhat simplistic view of this phenomenon, used here primarily to make a point. For example, it is possible that a population of humans became isolated 15 thousand years ago, remained isolated to the present day, and that one of their descendants just happened to be around reading this blog today. Perhaps the most widely cited article discussing this idea is this one by Joseph T. Chang, published in the journal Advances in Applied Probability. For a more accessible introduction to the idea, see this article by Joe Kissell. Estimates vary based on the portion of the population considered. There are also assumptions that have to be made based on migration and mating patterns, as well as the time for each generation to emerge and the stability of that number over time. Still, most people alive today share a common ancestor who lived a lot more recently than they think. In most cases that common ancestor probably lived less than 640 years ago. 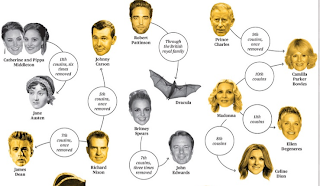 And who was that common ancestor? That person was probably a man who, due to a high perceived social status, had many consorts, who gave birth to many children. Someone like Genghis Khan. There are many published studies with evidence that cholesterol levels are positively associated with heart disease. In multivariate analyses the effects are usually small, but they are still there. On the other hand, there is also plenty of evidence that cholesterol is beneficial in terms of health. Here of course I am referring to the health of humans, not of the many parasites that benefit from disease. For example, there is evidence () that cholesterol levels are negatively associated with mortality (i.e., higher cholesterol leading to lower mortality), and are positively associated with vitamin D production from skin exposure to sunlight (). Most of the debris accumulated in atheromas are made up of macrophages, which are specialized cells that “eat” cell debris (ironically) and some pathogens. The drug market is still hot for cholesterol-lowering drugs, often presented in TV and Internet ads as effective tools to prevent formation of atheromas. But what about macrophages? What about calcium, another big component of atheromas? If drugs were to target macrophages for atheroma prevention, drug users may experience major muscle wasting and problems with adaptive immunity, as macrophages play a key role in muscle repair and antibody formation. If drugs were to target calcium, users may experience osteoporosis. So cholesterol is the target, because there is a “link” between cholesterol and atheroma formation. There is also a link between the number of house fires in a city and the amount of firefighting activity in the city, but we don’t see mayors announcing initiatives to reduce the number of firefighters in their cities to prevent house fires. When we talk about variations in cholesterol, we usually mean variations in cholesterol carried by LDL particles. That is because LDL cholesterol seems to be very “sensitive” to a number of factors, including diet and disease, presenting quite a lot of sudden variation in response to changes in those factors. LDL particles seem to be intimately involved with disease, but do not be so quick to conclude that they cause disease. Something so widespread and with so many functions in the human body could not be primarily an agent of disease that needs to be countered with statins. That makes no sense. Looking at the totally of evidence linking cholesterol with health, it seems that cholesterol is extremely important for the human body, particularly when it is under attack. So the increases in LDL cholesterol associated with various diseases, notably heart disease, may not be because cholesterol is causing disease, but rather because cholesterol is being used to cope with disease. LDL particles, and their content (including cholesterol), may be used by the body to cope with conditions that themselves cause heart disease, and end up being blamed in the process. The lipid hypothesis may be a classic case of reverse causation. A case in point is that of cholesterol responses to stress, particularly mental stress. Grundy and Griffin () studied the effects of academic final examinations on serum cholesterol levels in 2 groups of medical students in the winter and spring semesters (see table below). During control periods, average cholesterol levels in the two groups were approximately 213 and 216 mg/dl. During the final examination periods, average cholesterol levels were 248 and 240 mg/dl. These measures were for winter and spring, respectively. One could say that even the bigger increase from 213 to 248 is not that impressive in percentage terms, approximately 16 percent. However, HDL cholesterol does not go up significantly in response to sustained (e.g., multi-day) stress, it actually goes down, so the increases reported can be safely assumed to be chiefly due to LDL cholesterol. For most people, LDL particles are the main carriers of cholesterol in the human body. Thus, in percentage terms, the increases in LDL cholesterol are about twice those reported for total cholesterol. A 32-percent increase (16 x 2) in LDL cholesterol would not go unnoticed today. If one’s LDL cholesterol were to be normally 140 mg/dl, it would jump to 185 mg/dl with a 32-percent increase. It looks like the standard deviations were more than 30 in the study. (This is based on the standard errors reported, and assuming that the standard deviation equals the standard error multiplied by the square root of the sample size.) So we can guess that several people might go from 140 to 215 or more (this is LDL cholesterol, in mg/dl) in response to the stress from exams. And the effects above were observed with young medical students, in response to the stress from exams. What about a middle-aged man or woman trying to cope with chronic mental stress for months or years, due to losing his or her job, while still having to provide for a family? Or someone who has just been promoted, and finds himself or herself overwhelmed with the new responsibilities? Keep in mind that sustained dieting can be a major stressor for some people, particular when one gets to that point in the dieting process where he or she gets regularly into negative nitrogen balance (muscle loss). So you may have heard from people saying that, after months or years of successful dieting, their cholesterol levels are inexplicably going up. Well, this post provides one of many possible explanations for that. The finding that cholesterol goes up with stress has been replicated many times. It has been known for a long time, with studies dating back to the 1950s. Wertlake and colleagues () observed an increase in average cholesterol levels from 214 to 238 (in mg/dl); also among medical students, in response to the mental and emotional stress of an examination week. A similar study to the one above. Those enamored with the idea of standing up the whole day, thinking that this will make them healthy, should know that performing cognitively demanding tasks while standing up is a known stressor. It is often used in research where stress must be induced to create an experimental condition. 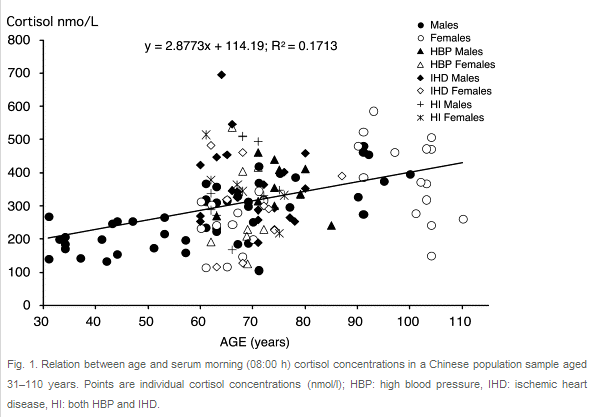 Muldoon and colleagues () found that people performing a mental task while standing experienced an increase in serum cholesterol of approximately 22 points (in mg/dl). What we are not adapted for is sitting down for long hours in very comfortable furniture (, ). But our anatomy clearly suggests adaptations for sitting down, particularly when engaging in activities that resemble tool-making, a hallmark of the human species. Among modern hunter-gatherers, tool-making is part of daily life, and typically it is much easier to accomplish sitting down than standing up. Modern urbanites could be seen as engaging in activities that resemble tool-making when they produce things at work for internal or external customers, whether those things are tangible or intangible. So, stress is associated with cholesterol levels, and particularly with LDL cholesterol levels. Diehard lipid hypothesis proponents may argue that this is how stress is associated with heart disease: stress increases cholesterol which increases heart disease. Others may argue that one of the reasons why LDL cholesterol levels are sometimes found to be associated with heart disease-related conditions, such as chronic stress, and other health conditions is that the body is using LDL cholesterol to cope with those conditions. 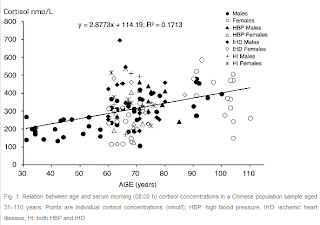 Specifically regarding mental stress, a third argument has been put forth by Patterson and colleagues, who claimed that stress-mediated variations in blood lipid concentrations are a secondary result of decreased plasma volume. The cause, in their interpretation, was unspecified – “vascular fluid shifts”. However, when you look at the numbers reported in their study, you still see a marked increase in LDL cholesterol, even controlling for plasma volume. And this is all in response to “10 minutes of mental arithmetic with harassment” (). I tend to think that the view that cholesterol increases with stress because cholesterol is used by the body to cope with stress is the closest to the truth. Among other things, stress increases the body’s overall protein demand, and cholesterol is used in the synthesis of many proteins. This includes proteins used for signaling, also known as hormones. Cholesterol also seems to be a diet marker, tending to go up in high fat diets. This is easier to explain. High fat diets increase the demand for bile production, as bile is used in the digestion of fat. Most of the cholesterol produced by the human body is used to make bile. Structural equation modeling (SEM), or path analysis with latent variables, is one of the most general and comprehensive statistical analysis methods. Path analysis, multiple regression, ANCOVA, ANOVA and other widely used statistical analysis methods can be seen as special cases of SEM. SEM use employing WarpPLS has been growing steadily among researchers investigating health-related topics. We will be conducting a two-day hands-on workshop on SEM employing partial least squares methods (PLS-SEM) with WarpPLS. This software conducts composite-based (e.g., PLS-based) as well as factor-based SEM analyses. Factor-based SEM combines the precision of covariance-based SEM with the flexibility and ease-of-use of composite-based SEM. The dates are 12-13 August 2017. The workshop will take place in Penang, Malaysia. This is an issue that often comes up in online health discussions, and was the topic of a conversation I had the other day with a friend about some of the benefits of intermittent fasting. Please note that the term "fast" is used in this post as synonymous with a period of time in which only water is consumed. If one consumes, say, a carrot during a 10 h "fast", then that is not really a fast. Can the benefits of intermittent fasting be achieved without muscle loss? The answer is “yes”, to the best of my knowledge. Even if you are not interested in bulking up or becoming a bodybuilder, you probably want to keep the muscle tissue you have. As a norm, it is generally easier to lose muscle than it is to gain it. Fat, on the other hand, can be gained very easily. This is today, in modern urban societies. Among our hominid ancestors, this situation was probably reversed to a certain extent. Body fat percentage is positively correlated with measures of inflammation markers and the occurrence of various health problems. Since muscle tissue makes up lean body mass, which excludes fat, it is by definition negatively correlated with inflammation markers and health problems. As muscle mass increases, so does health; as long as the increase in muscle mass is “natural” – i.e., it comes naturally for the individual, ideally without anything other than unprocessed food. Unnatural muscle gain may increase health temporarily, but problems eventually happen. For example, several years ago a colleague of mine gained a great deal of muscle mass by taking steroids. A few months later he had a spinal disc herniation while lifting, and never fully recovered. About a year ago he was obese, diabetic, and considering bariatric surgery. If you are a natural lightweight, your frame may not adapt fast enough make you a natural heavyweight. And there is nothing wrong with being a natural lightweight. In short-term fasts (e.g., up to 24 h) one can indeed lose some muscle mass as the body produces glucose using amino acids in muscle tissue through a process known as gluconeogenesis. In this sense, muscle is the body’s main reserve of glucose. Adipocytes are the body’s main reserves of fat. Muscle loss is not pronounced in short-term fasts though. It occurs after the body’s glycogen reserves, particularly those in the liver, are significantly depleted. This often starts happening 8 to 12 hours into the fast, for people who do not fast regularly, and depending on how depleted their liver glycogen (liver "sugar") reserves are when they start fasting. Those who fast regularly tend to have greater reserves of liver glycogen, a form of compensatory adaptation, and could go on fasting for as much as 20 h or so before their bodies need to resort to muscle catabolism to meet the brain's hunger for glucose (often about 5 g / h). The liver is the main store of body sugar used to supply the glucose needs of the brain. This is interesting, since skeletal muscle often stores 5 times more sugar than the liver. That muscle sugar, also stored as glycogen, is pretty much "locked". It can be tapped during intense physical exertion (e.g., sprints, weight training), and pretty much nothing else can release it. The brains of our ancestors living 200 thousand years ago needed as much glucose as ours do, but their fight-or-flight needs took precedence. Our body today is like that; we are largely adapted to life in our ancestral past. When the body is running short on glycogen, primarily liver glycogen, it becomes increasingly reliant on fat as a source of energy, sparing muscle tissue. That is, it burns fat and certain byproducts of fat metabolism, such as ketone bodies. This benign state is known as ketosis; not to be confused with ketoacidosis, which is a pathological state. There is evidence that ketosis is a more efficient state from a metabolic perspective (see, e.g., Taubes, 2007). Often people feel an increase in energy, cognitive ability, and stress when they fast. The brain also runs on fat (through ketone byproducts) while in ketosis, although it still needs some glucose to function properly. That is primarily where muscle tissue comes into the picture, to provide the glucose that the brain needs to function. While glucose can also be made from fat, more specifically a lipid component called glycerol, this usually happens only during very prolonged fasting and starvation. You do not have to consume carbohydrates at all to make up for the glycogen depletion, after you break the fast. Dietary protein will do the job, as it is used in gluconeogenesis as well. However, it has to be plenty of protein, because of the loss due to conversion to glucose. This picture is complicated a bit by one interesting fact: the body tends to use protein first to meet its caloric needs, then resorting to carbohydrates and fat. Only ethanol takes precedence over protein. Surprising? Think about this. Many animals, including humans, have a gene (frequently called the "myostatin gene") whose key function is to prevent amino acid storage in muscle beyond a certain point. Those people who have a mutation that impairs the function of this gene tend to put on muscle very easily, have low body fat percentages, and feel a lot of energy all the time. They are also hungry all the time. This genetic mutation is very rare. Children who have it look very muscular, and tend to grow to below-average height as adults. Dietary protein also leads to an insulin response, which is comparable to that elicited by glucose. The difference is that protein also leads to other hormonal responses that have a counterbalancing effect to insulin (e.g., secretion of glucagon), by allowing for the body's use of fat as a source of energy. Insulin, by itself, promotes fat deposition and prevents fat release at the same time. When practicing intermittent fasting, one can increase protein synthesis by doing resistance exercise (weight training, HIT), which tips the scale toward muscle growth, and away from muscle catabolism. Having said that, doing resistance exercise while fasting is usually not a good idea. A combination of intermittent fasting and resistance exercise may actually lead to significant muscle gain in the long term. Fasting itself promotes the secretion of hormones (e.g., growth hormone) that have anabolic effects. The following sites focus on muscle gain through intermittent fasting; the bloggers are living proof that it works. Muscle catabolism happens all the time, even in the absence of fasting. As with many tissues in the body (e.g., bones), muscle is continuously synthesized and degraded. Muscle tissue grows when that balance is tipped toward synthesis, and is lost otherwise. Muscle will atrophy (i.e., be degraded) if not used, even if you are not fasting. In fact, you can eat a lot of protein and carbohydrates and still lose muscle. Just note what happens when an arm or a leg is immobilized in a cast for a long period of time. Short-term fasting is healthy, probably because it happened frequently enough among our hominid ancestors to lead to selective pressures for metabolic and physiological solutions. Consequently, our body is designed to function well while fasting, and triggering those mechanisms correctly may promote overall health. 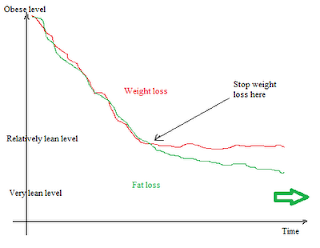 The relationship between fasting and health likely follows a nonlinear pattern, possibly an inverted U-curve pattern. It brings about benefits up until a point, after which some negative effects ensue. Long-term fasting may cause severe heart problems, and eventually death, as the heart muscle is used by the body to produce glucose. Here the brain has precedence over the heart, so to speak. Voluntary, and in some cases forced, short-term fasting was likely very common among our Stone Age ancestors; and consumption of large amounts of high glycemic index carbohydrates very uncommon (Boaz & Almquist, 2001). Boaz, N.T., & Almquist, A.J. (2001). Biological anthropology: A synthetic approach to human evolution. Upper Saddle River, NJ: Prentice Hall. I love statistics. But statistics is the science that will tell you that each person in a group of 20 people ate half a chicken per week over six months, until you realize that 10 died because they ate nothing while the other 10 ate a full chicken every week. Statistics is the science that will tell you that there is an “association” between these two variables: my weight from 1 to 20 years of age, and the price of gasoline during that period. These two variables are indeed highly correlated, by neither has influenced the other in any way. This is why I often like to see the underlying numbers when I am told that such and such health measure on average is this or that, or that this or that disease is associated with elevated consumption of whatever. Statistical results must be interpreted carefully. Lying with statistics is very easy. A case in point is that of blood glucose variations among normal individuals. Try plotting them on graphs. What do you see? A chaotic mess, even when the individuals are pre-screened to exclude anybody with blood glucose abnormalities that would even hint at pre-diabetes. You see wild fluctuations that, while not going up to levels like 200 mg/dl, are much less predictable than many people are told they should be. Blood glucose levels are influenced by so many factors (Elliott & Elliott, 2009) that I would be surprised if they were as smooth as those in graphs that are frequently used to show how blood glucose is supposed to vary in healthy individuals. Often we see a flat line up until the time of a meal, when the line curves up rapidly and then goes down quickly. It usually peaks at around 140 mg/dl, dropping well below 120 mg/dl after 2 hours. Those smooth graphs are usually obtained through algorithms that have statistical methods at their core. The algorithms are designed to generate a smooth representations of scattered or disorganized data points. A little bit like the algorithms in software tools that plot best-fit regression curves passing through scattered points (e.g., warppls.com). The picture below (click on it to enlarge) is from a 2006 symposium presentation by Prof. J.S. Christiansen, who is a widely cited diabetes researcher. The whole presentation is available from: www.diabetes-symposium.org. It shows the blood glucose variations of 21 young and normal individuals, based on data collected over a period of 2 days. Each individual is represented by a different color. The points on each curve are actually averages of two blood glucose measurements; the original measurements themselves vary even more chaotically. As you can see from the picture above, each individual has a unique set of responses to main meals, which are represented by the three main blood glucose peaks. Overall, blood glucose levels vary from about 50 to 170 mg/dl, and in several cases remain above 120 mg/dl after 2 hours since a large meal. They vary somewhat chaotically during the night as well, often getting up to around 110 mg/dl. And these are only 21 individuals, not 100 or 1000. Again, these individuals were all normal (i.e., normoglycemic, in medical research parlance), with an average glycated hemoglobin (HbA1c) of 5 percent, and a range of variation of HbA1c of 4.3 to 5.4 percent. We can safely assume that these individuals were not on a low carbohydrate diet. The spikes in blood glucose after meals suggest that they were eating foods loaded with refined carbohydrates and/or sugars, particularly for breakfast. So, we can also safely assume that they were somewhat "desensitized" (in terms of glucose response) to those types of foods. Someone who had been on a low carbohydrate diet for a while, and who would thus be more sensitive, would have had even wilder blood glucose variations in response to the same meals. Many people measure their glucose levels throughout the day with portable glucometers, and quite a few are likely to self-diagnose as pre-diabetics when they see something that they think is a “red flag”. Examples are a blood glucose level peaking at 165 mg/dl, or remaining above 120 mg/dl after 2 hours passed since a meal. Another example is a level of 110 mg/dl when they wake up very early to go to work, after several hours of fasting. As you can see from the picture above, these “red flag” events do occur in young normoglycemic individuals. If seeing “red flags” helps people remove refined carbohydrates and sugars from their diet, then fine. But it may also cause them unnecessary chronic stress, and stress can kill.